The Medical Center at Ocean Reef is pleased to offer CoolSculpting to our members and guests. You can reshape your body! We will develop a customized CoolSculpting treatment plan that addresses your problem areas. Additional sessions may further enhance your results. Your individualized treatment plan will be tailored to your body, your goals, and your budget. It’s easy to sit back, relax and say goodbye to stubborn fat. After we select the area(s) to be treated, the device is positioned on your body and controlled cooling is applied. During your procedure, you may choose to read, check email, or even take a nap. The CoolSculpting fat-freezing procedure is completely non-surgical, so you can typically return to work and normal activities immediately. Are you ready to love every view of you? The sooner you set up your consultation, the sooner you'll see results in the mirror: Long-term results in those areas that have resisted all efforts through diet and exercise. 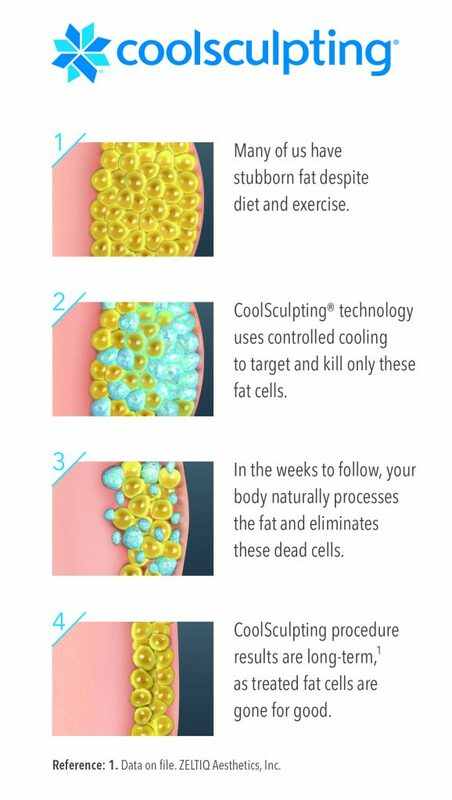 Contact us today at (305) 367-2600 to find out if the CoolSculpting fat freezing procedure is right for you.